Ann Arbor homes are starting off this new year strong with 67 homes being entered into the multiple listings service, this is an increase of 21% compared to the 55 last year. 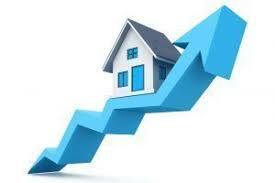 A total of 39 homes were sold, which is a significant 29% decrease compared to the 55 sold homes last January. Considering only the listings that were entered in January, not inclusive of those that have been on the market longer, 70% of the 67 homes were sold. Unfortunately for sellers, the average days on the market is 45, meaning that many homes entered last month have not yet sold; this is an 11.8% increase from 2017 though. Luckily for buyers, both listing and selling prices declined compared to the prior January. The average listing price dropped from $494,222 to $446,662, a 9.6% difference. There was less of a difference between the average selling price this year and last, $421,420 versus $450,822, only a 6.5% decline. The Bouma group is here to help you with all of your housing needs, whether you are looking to buy or considering listing your home, contact the specialists at (734)761-3060 or email info@bouma.com. Stay tuned for consistently updated information about Ann Arbor homes and surrounding areas!